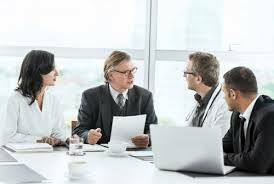 In the health care industry, the structure of every transaction must be closely scrutinized and carried out carefully with attention to all relevant regulatory processes. Unfortunately, many providers, including physicians, health care clinics, home health agencies, ALF’s, nursing homes, rehabilitation facilities, IDTF’s and other health care companies, put their businesses on the line when they attempt to handle transactions themselves without assistance from a knowledgeable health care attorney. Cutting corners and attempting to handle what may seem simple to a lay person or even an inexperienced practitioner can and has resulted in substantial legal problems and costs. In a few instances, the provider’s license has even been revoked. The successful operation of a health care company depends not only on providing quality services or products, but also on understanding the various laws and regulations the company must comply with. Preparing for and maintaining compliance with constantly changing federal and state laws and regulatory guidelines is essential as a health care business considers entering into any contract or transaction.